Since they were announced back at CES in January, people have been heavily anticipating the launch of Vizio’s first range of Windows PCs. 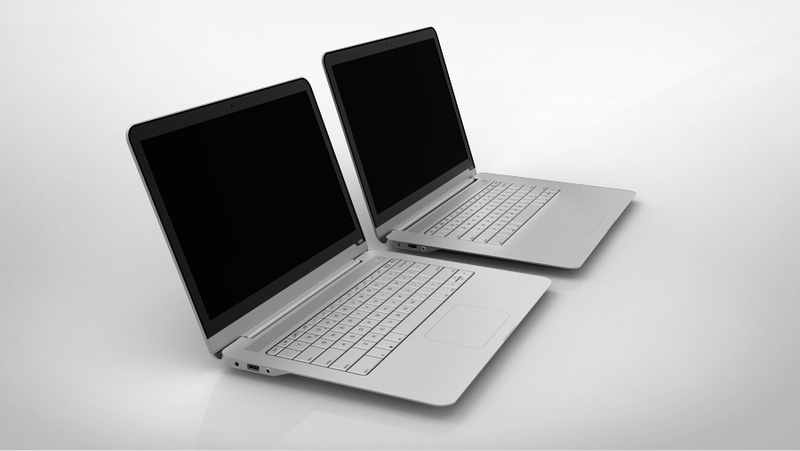 Famed in the States for low priced TVs with unbeatable value, the company unveiled an all-in-one, a notebook and a pair of Ultrabooks thin-and-lights at the trade show, but remained coy on release dates, pricing or exact specifications until today. In a press release that can be found below, the company revealed a few more details, including that pricing for all 3 ranges would begin at just $898 (£578), and that all of their computers would run on Intel’s latest Ivy Bridge chips with a clean installation (i.e. zero bloatware) of Windows 7. The AIO will come in both the $898 24″ model and an $1100 27″ model, and both come with USB 3.0, Nvidia’s latest Kepler graphics architecture, up to a 1TB HDD paired with a 32GB SSD for boot and 1920 x 1080 displays. The thin-and-lights both come with integrated Intel graphics and a 7 hour battery life, with the $898 14″ model coming equipped with a 1600 x 900 panel, while an extra hundred dollars will get you a 15.6″ model with a 1080p display. The $898 notebook is internally identical to the larger thin-and-light, but in exchange for the added girth you get an as yet unspecified Nvidia Kepler GPU. Pre-orders for all models are live at a number of American retailers right now, but don’t get your hopes up for a UK release, as Vizio has yet to release any of their bargain bin products outside the US of A.
Irvine, CA – June 15, 2012 – VIZIO, America’s #1 LCD HDTV Company*, announced today the availability of its highly anticipated line of innovative personal computers designed to work hard and play hard. By combining its entertainment know-how with the unmatched power of the latest Intel® Core™ processors, VIZIO intends to set a new standard for the Windows® experience. The premium line, which consists of the VIZIO Thin + Light, Notebook and All-in-One PC, was created to break through the clutter present in the mainstream market and prove that power, design and entertainment can flawlessly co-exist in a PC. 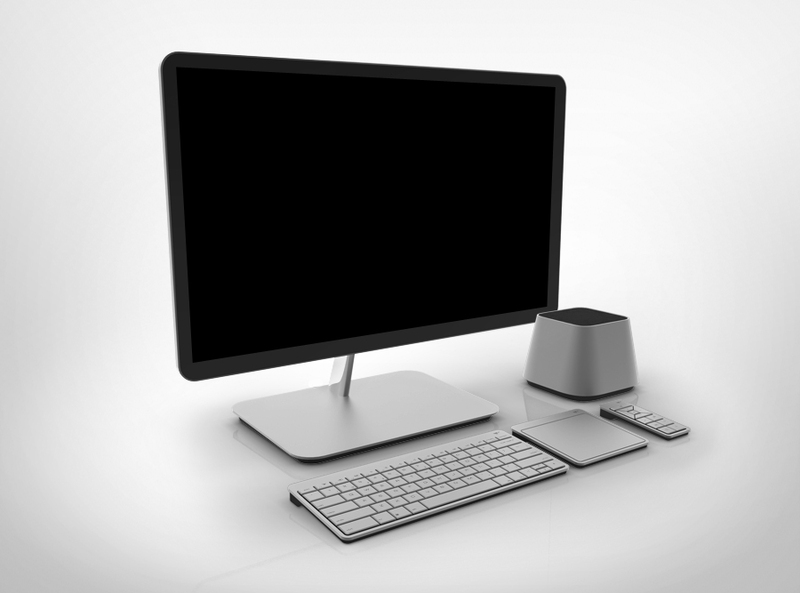 Similar to its entrance into the HDTV category nearly a decade ago, VIZIO took careful inventory of the needs and wants evident in the PC space. The result is a sophisticatedly handsome PC line that meets the productivity and power standards consumers expect, while delivering the entertainment and design differentiators they desire. Calling on its HDTV background, VIZIO developed the PCs with contrast, image quality and viewing angles top of mind, giving PC users an experience only HDTVs could previously deliver. Combined with an NVIDIA® Kepler™-Class GeForce GPU, the brilliant HD display of the VIZIO PCs makes watching movies, gaming and streaming TV shows more enjoyable than ever. Deep and resonate SRS Premium Sound HD™ serves as an ideal complement to stunning image quality but can also stand alone, allowing music junkies to immerse themselves in rich, custom-tuned audio. Understanding the impact aesthetics have on experience, VIZIO also focused heavily on design. Manifested beyond a few sleek bevels, VIZIO’s purposeful design decisions and premium materials culminate in a line of PCs that rival the status-quo. From the die-cast aluminum neck with its hidden hinge, premium wireless keyboard and wireless touchpad of the All-in-One, to the anodized aluminum unibody construction with precision CNC detailing of the Thin + Light and Notebook, VIZIO took every detail into account, creating top-quality work and entertainment fixtures like no other. Optimized to deliver power, mobility and familiar ease of use, VIZIO PCs ensure a fast and immersive best-in-class consumer experience. To that end, VIZIO and Microsoft® worked together to build an optimized system image that includes the Microsoft Signature experience for Windows 7 PCs to deliver a great experience for customers, from out of box to support. Every VIZIO PC also includes Microsoft Security Essentials to help guard against viruses and spyware with no renewal fees and 90 days of Microsoft technical support. Designed to tackle any task a user needs to accomplish, VIZIO PCs are powered by 3rd generation Intel® Core™ processors. Providing an extra performance boost, the efficient Intel® Core™ processors are capable of handling a multitude of jobs, allowing users to multi-task with ease. Elegantly combining a powerful PC with features similar to a television, the VIZIO All-in-One PC offers an unparalleled entertainment experience**. With a stunning 24″ or 27″ Full HD 1080p display, included subwoofer for 2.1 surround sound audio with SRS Premium Sound HD™ and dual HDMI® inputs for connecting cable boxes and game consoles, the VIZIO All-in-One PC delivers serious entertainment. The premium wireless keyboard, wireless touchpad with multi-touch gesture support, remote control and subwoofer with integrated power supply makes the VIZIO All-in-One PC easy on the eyes. Crafted from genuine, top-quality materials with design advancements, these machines challenge the very notion of what a PC can be, making it the ideal fixture in a bedroom, design studio, kitchen, dorm or swanky boutique. For the ultimate in entertainment, consumers can use the display of their VIZIO All-in-One PC even when the computer is off, plugging in up to two HDMI® sources to enjoy cable or satellite programming, gaming and other HD offerings. The VIZIO Notebook delivers remarkable power in a beautifully portable profile. Stylish and light, the aluminum construction provides solid durability not possible when using cheaper plastics. With an impressive 15.6″ Full HD 1080p display, performance-tuned audio with SRS Premium Sound HD™ and a long-lasting battery, the VIZIO Notebook is an all-day, on-the-go, multimedia powerhouse. 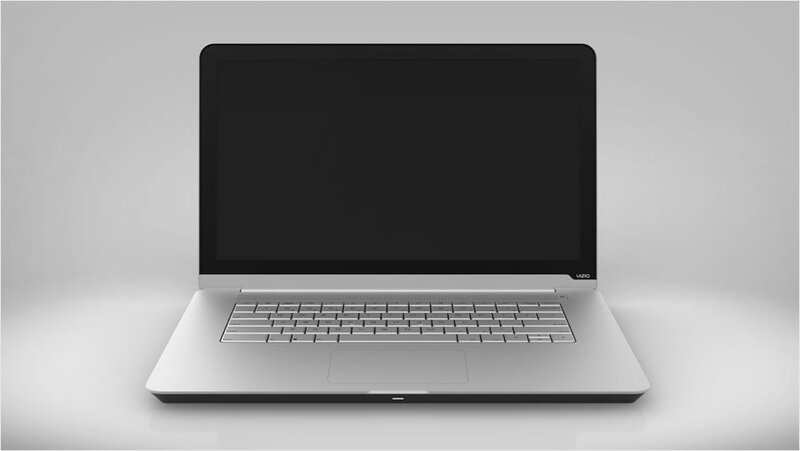 The sleek, seamless surface of the VIZIO Notebook boasts beveled edges and a slip-free, soft-touch underside. The machine’s slim profile is made possible by an anodized aluminum unibody construction that lends itself to strength and durability. Smart innovations include a concealed passive heat venting that pulls in cool air to reduce the need for bulky, noisy and unnecessary grills and fans. Part of a new class of Ultrabook™ devices inspired by Intel, the VIZIO Thin + Light is an ultra-responsive, ultra-sleek and long-lasting portable PC. This powerful machine boots up in seconds and packs enough battery to stay up and running all day. With a 14″ HD+ or 15.6″ Full HD display and a razor-thin design made possible by a durable, anodized aluminum unibody construction, the VIZIO Thin + Light is sleek enough to take anywhere and easily outperforms notebooks twice its size. Entertainment enthusiasts will appreciate the HD resolution, stellar picture quality with wider viewing angles and SRS Premium Sound HD™ of the Thin + Light, allowing users to enjoy their content on-the-go or tap into the full-size HDMI® outputs to put entertainment on the big screen. For more information on VIZIO PCs visit VIZIO.com. Consumers can also find the new PC line at key retailers such as Walmart, Amazon.com, Sam’s Club, Costco, Target and Microsoft Store.